Nokia prototypes running an early version of Microsoft’s Windows Phone 7.5 operating system are already in testing, with Nokia aiming to have the finished product on the market before the end of the year. Want to know more? 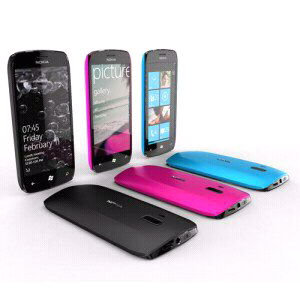 Read on to find out more about the Nokia Windows Phone 7.5 being tested. We know that Nokia Windows Phones are on their way, and we can’t wait to get our hands on the first Windows Phone-powered Nokia, but of course building a whole new mobile ecosystem takes time. Things are very much moving forward, however, and the first Nokia handsets running Microsoft’s mobile platform are being tested as we speak. So says Nokia executive vice president Kai Öistämö, who revealed that “the products are not done yet, but you can already see the signs”. Öistämö confirmed that the handsets in question are running the ‘Mango’ update to Windows Phone 7 – or Windows Phone 7.5 as it is now known. The upgrade is expected to bring with it true multitasking, faster app switching and full integration with the next version of Internet Explorer when it arrives later this year. In related news, Nokia and Microsoft have announced that have hammered out the final details and signed a final agreement – and ahead of schedule too. “Hundreds of our team members are already working together toward a multi-year product roadmap and are on-schedule to deliver volume shipments in 2012 although the pressure is on for first delivery in 2011,” Öistämö and Microsoft’s Windows Phone chief Andy Lees revealed in a joint statement. Is this the news you’ve been waiting for? Let us know what you think in the Comments below.